First of all, welcome to my short-form blog. In my future posts I’ll be discussing my thoughts on new designs, boating industry trends, my design process/philosophy, and my day-to-day experiences. 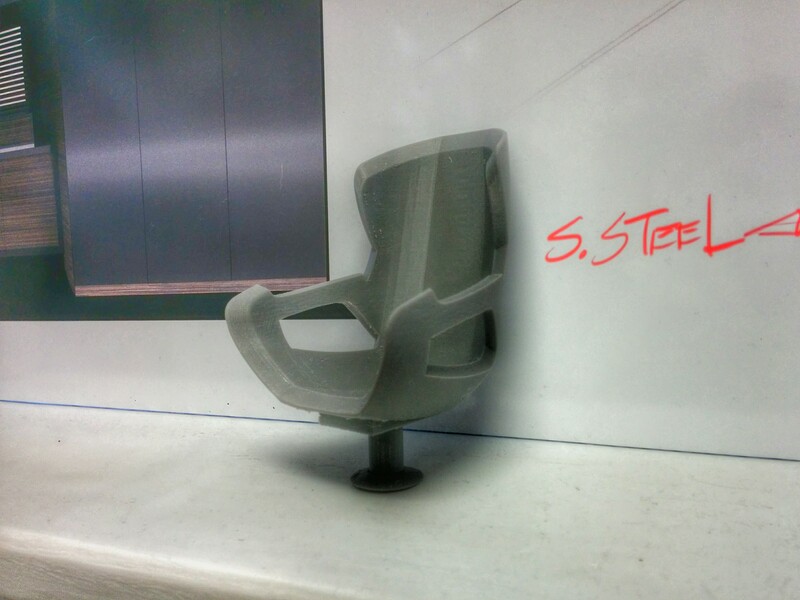 In this post, I’d like to focus on how 3D printing has greatly changed the way I approach refinement of designs. I purchased my Makerbot PLA 3D printer about a year ago this month from their store in New York City and since then I’ve been incorporating it into my business process at least once a week. 3D printing allows me to quickly visualize, in physical space, the products I create and allows the client to experience early prototypes of a product like never before. Not only are designers now able to better show early versions of their work to clients, but the process of exhibiting successful past designs in the office is much less painful. Prior to the 3D printing revolution, it was necessary to outsource physical model creation at a considerably greater expense and time cost. Currently, I’m mainly using my Makerbot to generate mockups of yacht interiors and furnishing components, although my most recent project has been slightly more ambitious and involves taking a 3D model of a fifty-eight foot craft and reproducing it at half-inch scale. To accomplish this it was necessary to take the scaled 3D model and divide it into eight blocks which fit within the confines of the printer. At completion the parts were easily glued together and a seamless scale model now resides in my office. One of my most important discoveries was the need for “support bridges” with certain models. The bridge consists of a structural arm extending from the printing base to extended pieces of the model that is removed after printing. 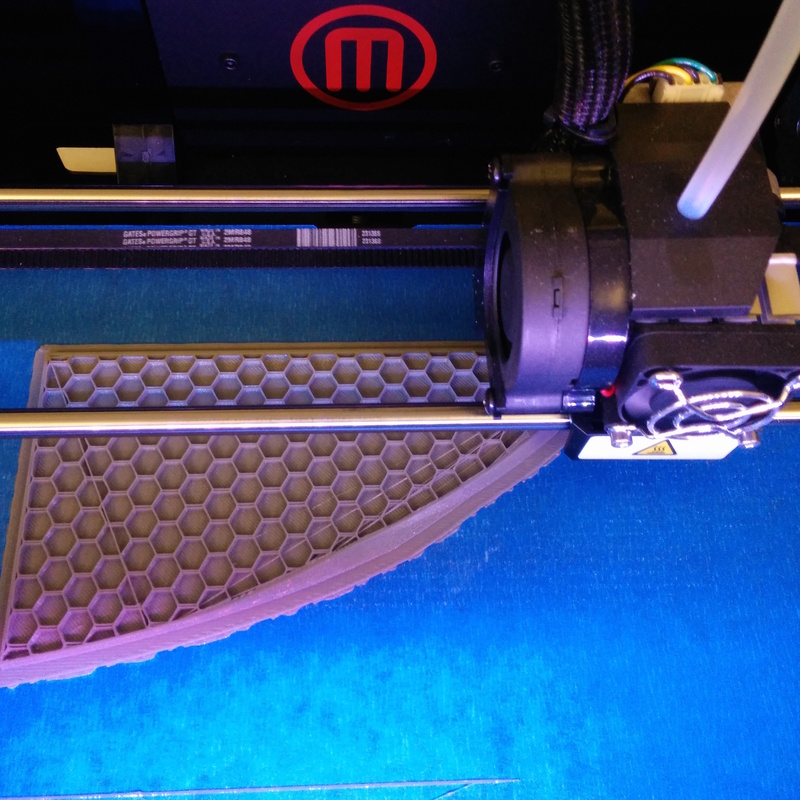 Don’t be afraid of bridges, they’re automatically created by Makerbot’s software and very easy to remove. Most importantly, make sure that your model is water tight. If the edges of the model are joined incorrectly and unusual spaces or gaps are present, the printer head can stumble and create unsightly imperfections.